Summer is a great time to spend outside and in the paddocks with our beloved horses. The extended daylight allows for more rides; however, this summer heat can be dangerous for your horse and can lead to dehydration, lethargy, diarrhoea, colic, or death. 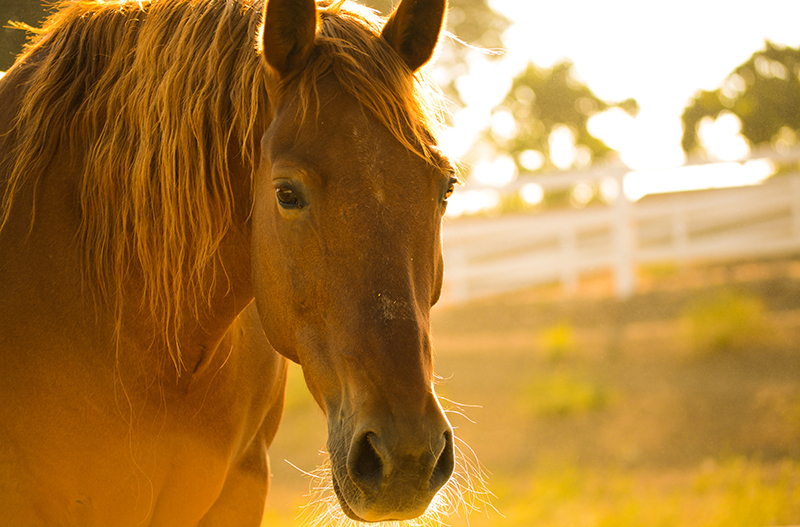 To prevent these possible heat-related side effects, Petplan has put together a number of tips to keep your horse cool and healthy. Pick which time of day you decide to exercise your horse or allow them to roam around the paddock. Choosing cooler hours such as sunrise and sunset are the ideal times for exercise, whereas you can allow your horse to graze overnight if the heat is truly unbearable during the day. It is also important to check on the quality of the grass due to the weather, and you may need to provide additional feed for your horse. As many horses in New Zealand will spend most of their time outdoors, it is imperative that they are provided with an abundance of shade options to keep out of the sun. Trees are a great source of shade, however, as the day goes on the sun will move as well as the shade. Make sure that no matter the time of day, your horse is able to escape the rays of the sun. Providing fresh water for your horse is the best way to reduce the risk of heat stroke. Often horses will steer clear of drinking water; however, you can make it more appealing by putting a salt block in their trough or by misting some hay with salt water. If your horse is spending a fair bit of time within their stable, especially during the day, it is important to provide them with fresh air. Large fans in the stables also goes a long way to keeping them healthy as is moves the fresh air around and keeps them cool. If you can afford it, misting systems also offer a great cooldown for your horse. The horse will absorb the moisture through their skin and in turn cool them down and keep them hydrated. The alternative to this is hosing them down often with cool water. If your horse is used to working hard at certain times of the day, maybe it’s time to rethink their activity as the weather heats up. Don’t think that they can still perform their work when the temperatures are passing 30 degrees. Although if you have to work your horse, lighten the workload or spread it out over an extended period and remember to cool them down after they have finished by sponging them with cool water. During these hotter periods, it is extremely important to be extra vigilant around your horse. If you are concerned that your horse may be experiencing heat stress, contact your vet immediately as the side effects can be serious. « Should you Shave your Pet for Summer?